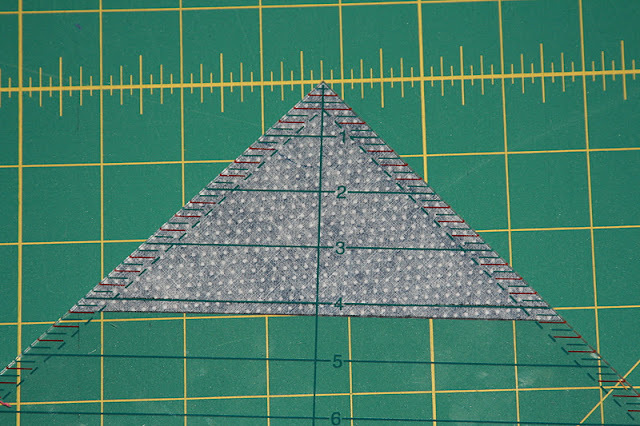 I promised a tutorial on how to make half square triangles using the ruler from our giveaway. Congratulations to our winner. 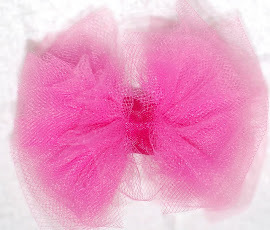 Don't forget the coupon code blog is good through December 31 for 25% off your entire purchase! Shop online at Quilt in a Day now. HST's are very simple and using this great tool makes them even easier. 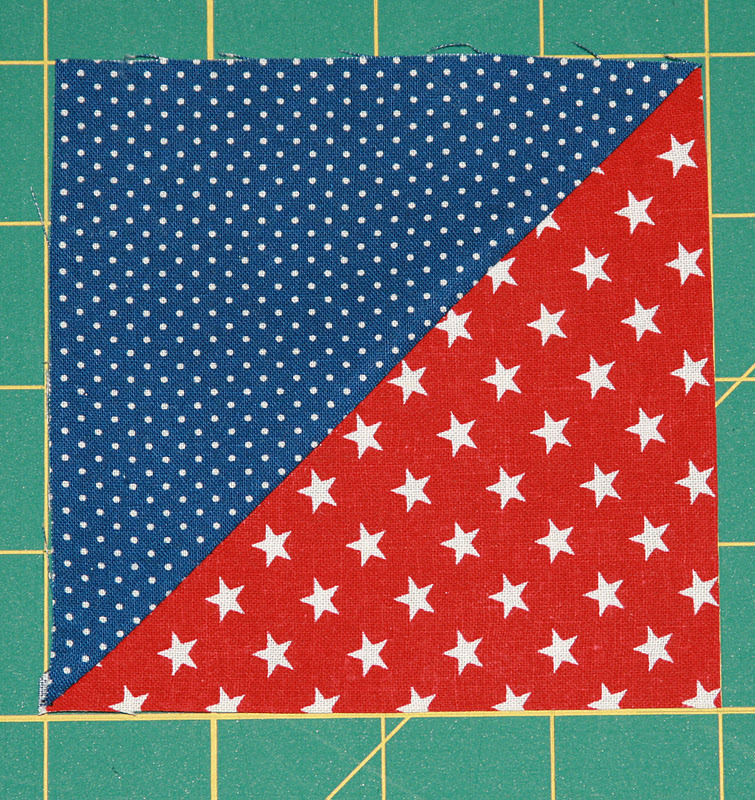 I like that when you are finished, your square is already squared up and ready to sew. 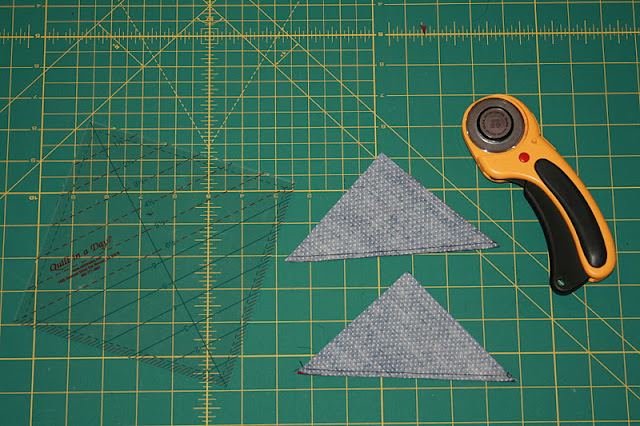 Step 1: Lay out two squares of fabric that are the same size but different colors. 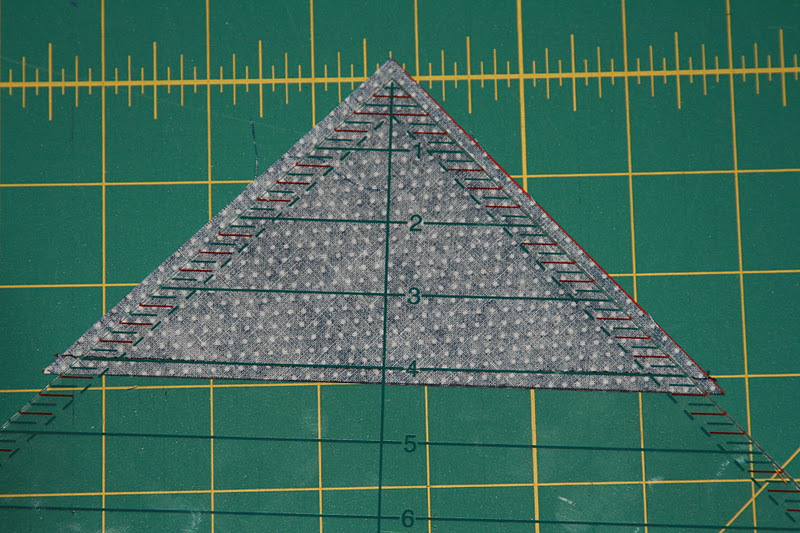 Add 1/2" seam allowance. 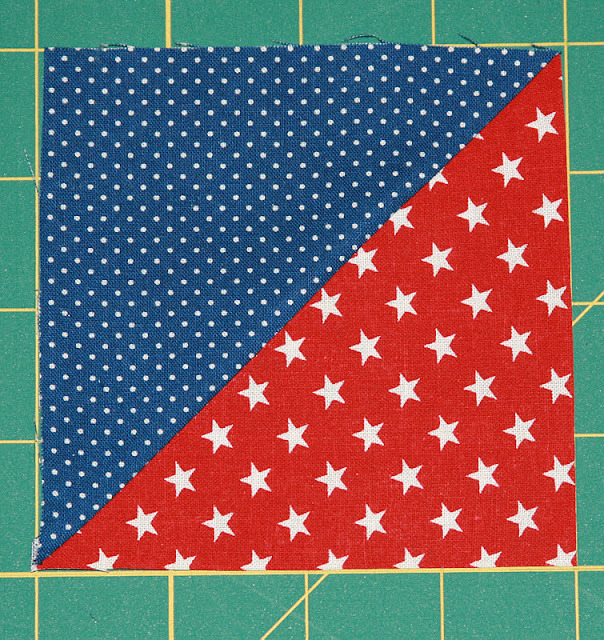 So if you want your final square to measure 4 inches cut your fabric 4 1/2". Step 2: Draw a line down the center on the wrong side of one fabric. Pair the squares ride sides together. 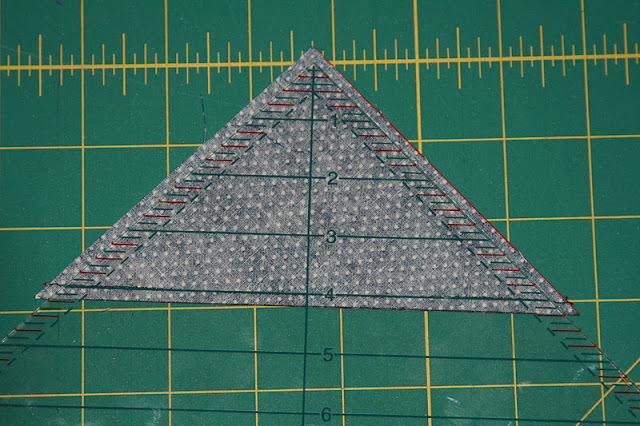 Step 3: Sew 1/4" from both sides of the drawn line. Step 4: Cut in half on drawn line. Step 5: Cut the corners off on the bottom of the triangles. 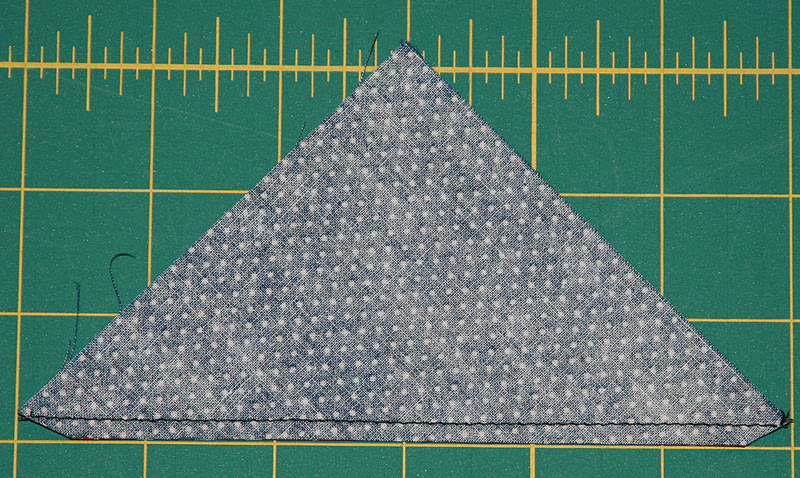 Do you see how I cut from the corner of the seam down on a diagonal? This will get rid of the dog ears when you press it open. 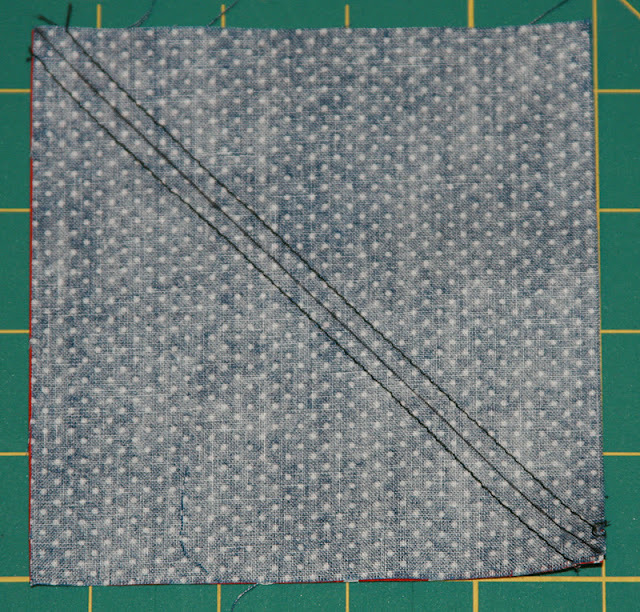 Step 6: Place the Quilt in a Day Square Up Ruler 4" line on the seam (or whatever size your sewing). 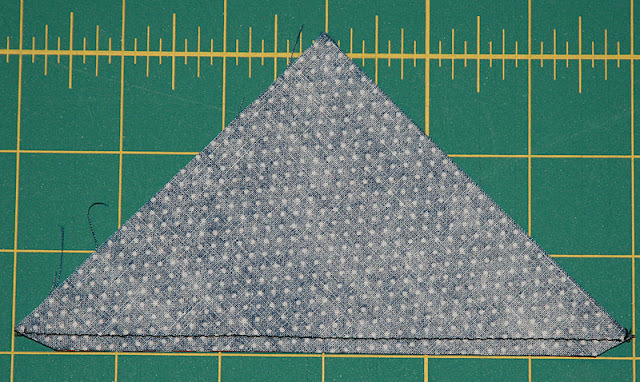 Center the tip of the ruler with the tip of the triangle the best you can. 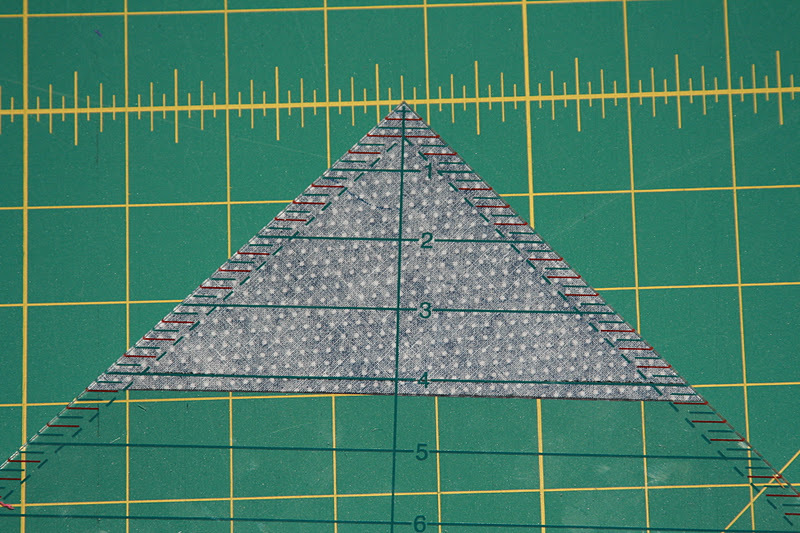 Step 7: Cut the excess fabric off each side of the ruler. Step 8: Open square and press towards the darker fabric.